I was eager to look at this Bible because I had determined that Crossway’s ESV Bible Atlas was the best atlas available for a class I teach on biblical geography. (Cf. my review and follow the links from HERE.) John Currid was responsible for most of the text in the atlas, and he was the editor for the OT notes and articles of this Bible as well. It turns out that some of the articles (e.g., Currid’s own “What is Archaeology” or the lengthy sidebar on the date of the Exodus) are based on the Atlas. The maps, created by David P. Barrett for the Atlas, are also the ones used in the Bible as are some of the illustrations, though most are on a smaller scale as befits the format. This is all to the good. While the Atlas provides a chronological progression through biblical history, the advantage of this Archaeology Bible is that it provides all the benefits of a good study Bible (extensive study notes, maps, concordance, glossary) while also supplementing it with photos, descriptions of sites, illustrations (especially the ones of Jerusalem and the Temple at different periods by Leen Ritmeyer), informative sidebars, and inset maps, all of which make it much easier to understand what is going on in the text more fully. These additional resources are particularly helpful with the texts in Acts, Paul, and Revelation for which there are more archaeological remains and artifacts that can be shown. The photos of sites (especially by Todd Bolen, A. D. Riddle, and Mark Wilson) add to the experience of imagining what it was like to be at a site during biblical times. More generally, the book looks and feels like a well-bound, substantial study Bible. Text is presented in double columns and below it are cross references, the study notes, and frequent sidebars, maps, or illustrations. The paper is thin (which is helpful in reducing size and weight of the book), and there is not objectionable bleed-through. The font is small, especially the cross references, but it is sharp and clear. The supporting articles are particularly helpful, and there are other helpful timelines, charts, and tables. Theologically, the notes are generally ‘conservative’ but also in conversation with more ‘critical’ claims. E.g., Mosaic authorship of the Pentateuch is affirmed but with the explanation that Moses could have used earlier materials passed down to him. Whether the creation described in Genesis 1 is to be understood as seven, 24-hour days is not addressed, naturally so since it is not subject to archaeological verification and no specific dating is supplied. (The OT timeline begins with Abraham and Sarah.) The notes do not explicitly discuss whether the Garden of Eden is an actual location or not, but they rightly show on a map where the biblical description is apparently picturing it to be. Regarding the difficult issue of the date of the Exodus, a balanced description of the pros and cons of both an early and late date are given. Was Jonah literally and physically swallowed by a great fish? That question is not addressed, but there are excellent notes about Tarshish, Nineveh, casting of lots, and other ancient parallel accounts. In the New Testament, for example, it is claimed that Matthew wrote in the late 50s or early 60s AD after Mark’s gospel was written. This is much earlier dating than most critical scholarship would grant, but it does not make much difference in terms of the study notes describing the related archaeology and artifacts and customs. I also note that BC and AD are used throughout rather than the academic preference for BCE and CE, though this is also reflecting the book’s anticipated audience. 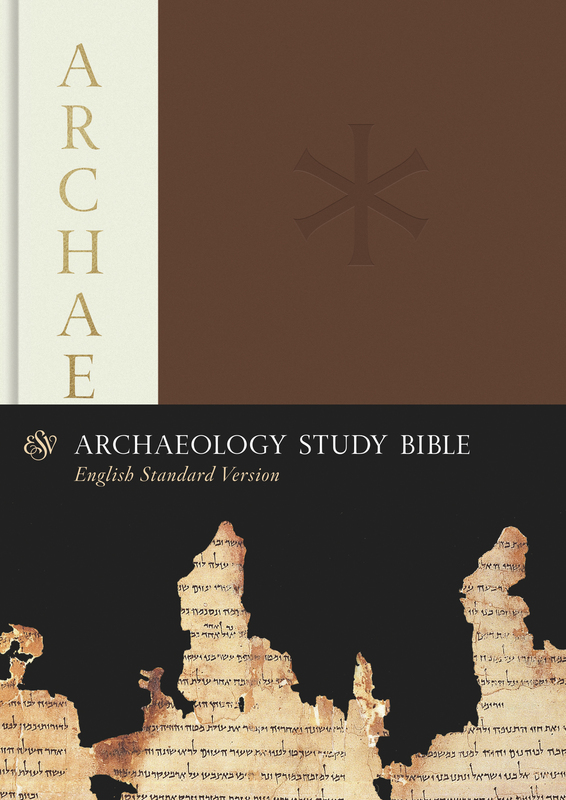 The closest comparison to the Crossway ESV Archaeology Study Bible of which I am aware is Zondervan's NIV Archaeological Study Bible, but I have not had the opportunity to look at it. There is also the Zondervan Illustrated Bible Backgrounds Commentary series of which I have a few volumes. While there is much more information in those volumes, they lack the convenience of an integrated study Bible. In some cursory checking, it is also clear that Crossway has made some strategic decisions regarding the material used that is sometimes more relevant. I would look forward to a digital edition of the ESV Archaeology Study Bible, since there are so many times when reference is made to an article or sidebar located elsewhere in the text. E.g., the anointing of Jesus is recounted in Matthew 26.6-13; Mark 14.3-9; Luke 7.36-49; and John 12.1-8. There is a sidebar with a photo of an alabaster jar attached to the Luke text on “Ointments and Unguentaria” to which the other texts refer. Having a clickable link to jump to that sidebar would be more convenient. Hopefully Accordance, Logos, Olive Tree, Wordsearch or the like will look into a digital adaptation. Bottom line: Whether or not one prefers the ESV or some of the underlying theological perspectives, this is an excellent study Bible that provides the kind of archaeological and historical information I believe are critical for understanding the biblical story. I received a free copy of the hardcover edition in exchange for an honest, unbiased review. Accordance has been aggressive in adding features to their program to attract BibleWorks users and make the transition easier. As I noted in an earlier post, they have both a basic and advanced crossover option. They also have a crossgrade policy that allows someone to obtain some resources at a discounted price if they have already purchased them in another program. Accordance has indeed made it possible to import BibleWorks notes, and I can say that it works quite well. 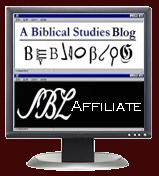 They have also added a "Live Click" feature that reproduces some of the natural functions of BibleWorks in displaying a verse in all versions (or a customized list of versions), displaying all entries for a word in all applicable lexicons, and generating word usage information. Check out this short video for a demonstration of how these look and work in Accordance. 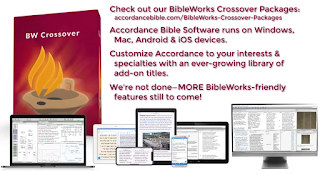 UPDATE: Accordance has now provided a page dedicated to BibleWorks users HERE. They also updated the resources provided, and the basic crossover now does include NA28. I've previously reviewed YouVersion as one of the best Bible apps, but they recently announced that they have added the New Revised Standard Version (NRSV) to their long list of available English Bible translations. You can read it for free, and it's even downloadable for offline access. Get the app available in a variety of formats (iOS, Android, Voice [! ], and online) HERE.